This is a dense but quite lightweight fabric, very opaque and not insubstantial. When I say lightweight, it is certainly not like a shirting cotton. 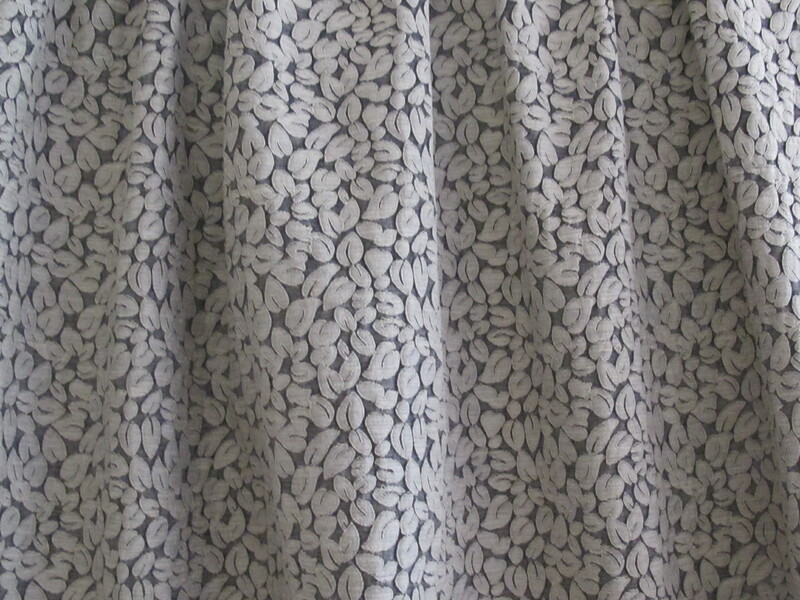 I think I mean that this fabric has a weightless quality; for a fabric as dense as this it is just so light to the hand. This fabric is a yarn-dyed one with raised-texture ashy/cream colour leaves floating against a light charred grey background. 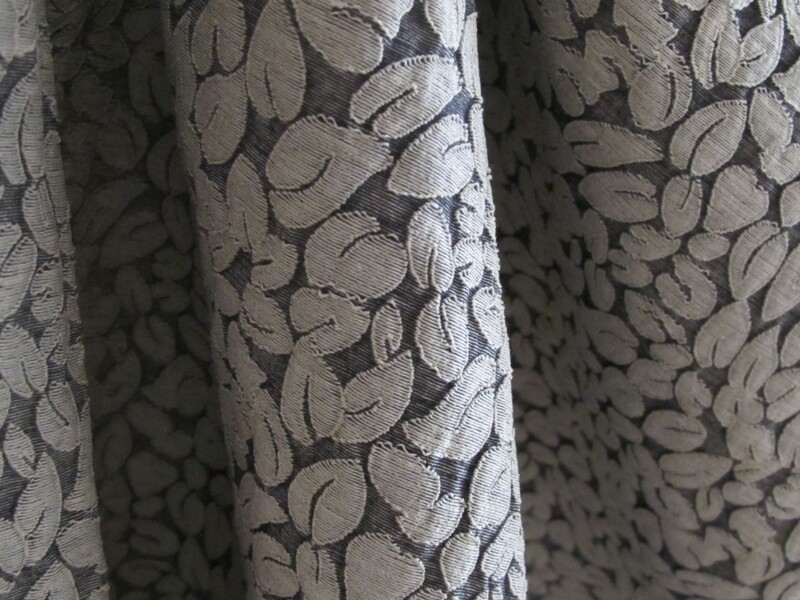 The weave of the leaves is quite distinct and is a feature of the fabric; it is a highly textured surface. The stretch is great and recovery good. You could work a bit of volume into this fabric; if so, the folds would probably be quite sculptural. If I were earmarking something to make with this, I would probably aim for a jacket and look like this from a recent edition of Vogue. 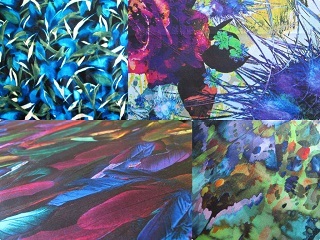 But, the fabric would also work terrifically well in everything from skinny pants through to a special occasion dress. 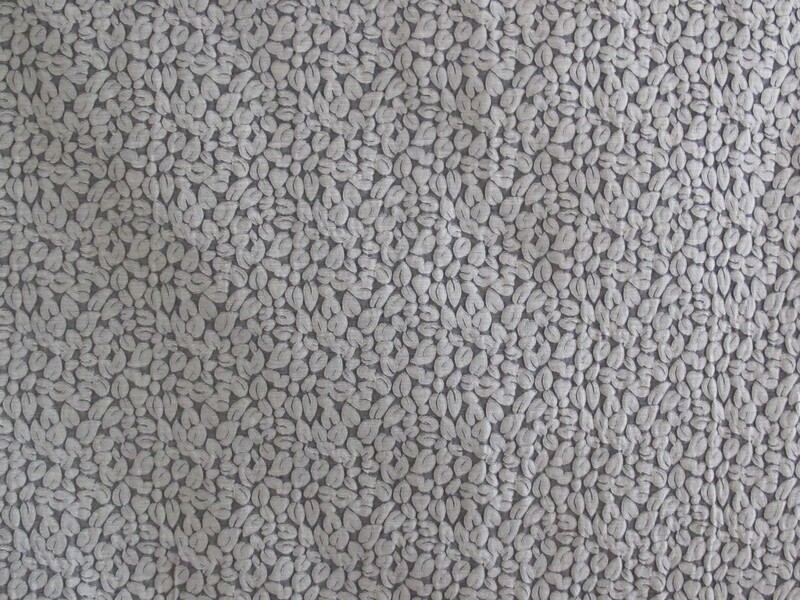 This J Crew lovely is 125cm wide and the length is 2.2 metres. The fabric price is $29 a metre/$64 for the piece. 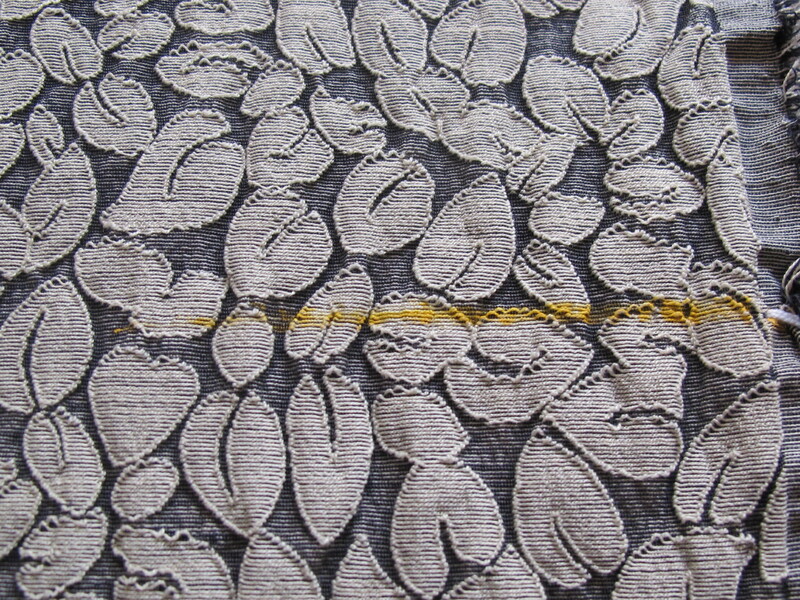 Please note that the fabric has a mark on it, a thin orange line extending a little way in from the selvedge. The price is marked down to reflect this imperfection. Yeah, I’ll just be able to send this in a small satchel at $8.25. Please see here for full details on payment and posting. If interested, please click on the email link below; fabric details will appear automatically and I will get back to you asap. (Australia delivery only thanks).